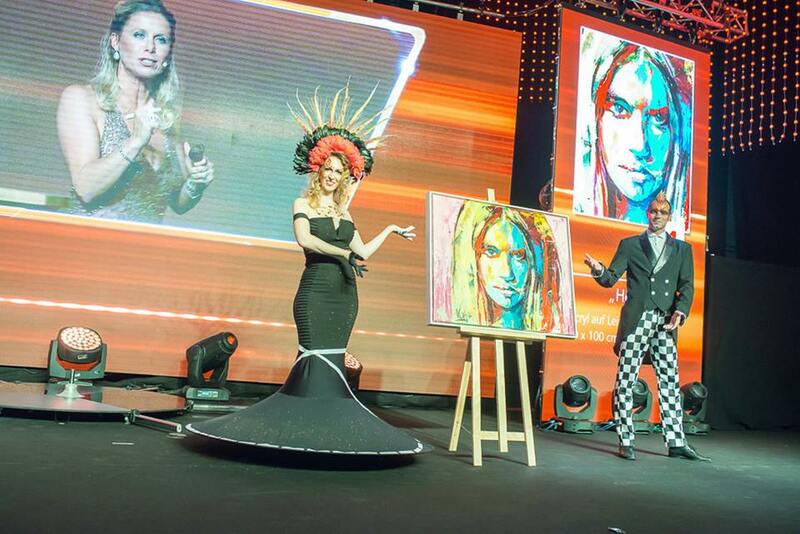 VOKA's "HEAD" - Acrylic on Canvas - 100x80cm, receives the maximum bid - Euro 50,000, - at this year's Ronald McDonald Gala. 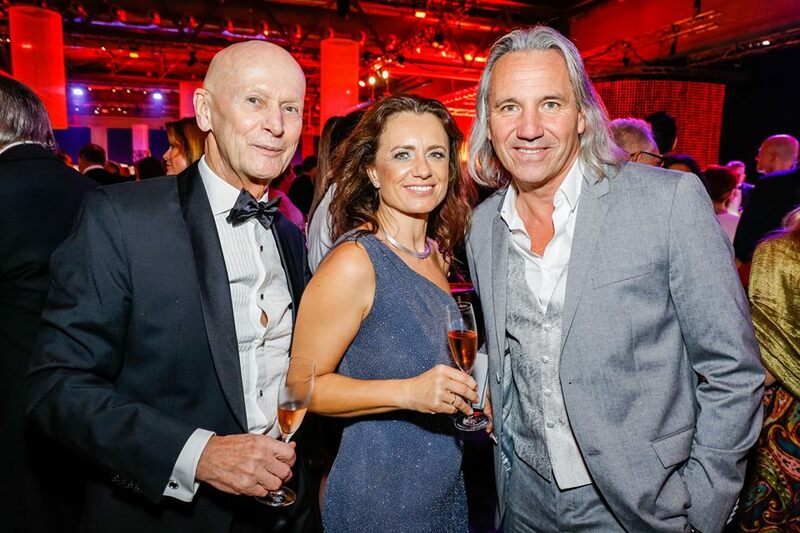 Under the motto "Tempo, Tempo ", about 600 guests celebrated the seventh Ronald McDonald Kinderhilfe gala at Messe Wien on 20 October 2017. In the year of the 30th anniversary of childcare, 860,000 euros were collected for the construction of further childcare facilities. "We have already achieved a lot, but a lot remains to be done to enable families and their children to live in a clinic close by," said Kinderhilfe President Sonja Klima. 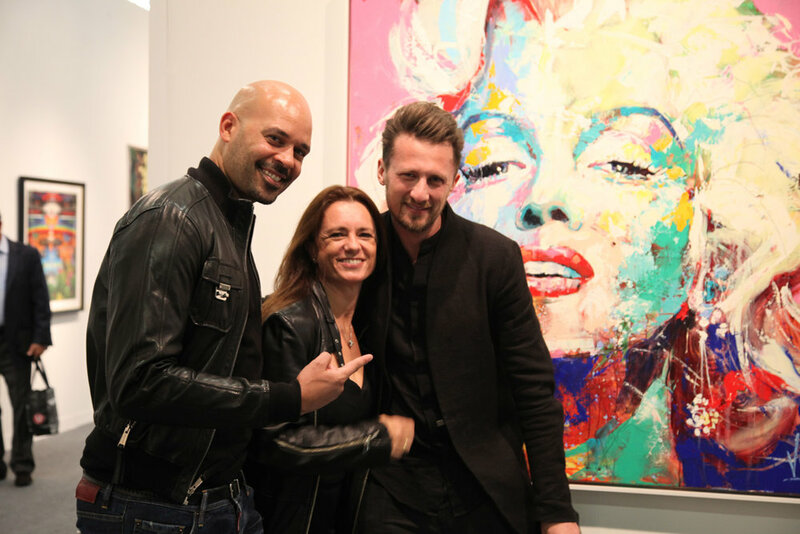 Also art works of Gerhard Richter, Markus Lüperts, Mr Brainwash, Gottfried Helnwein and many other artists were auctioned. VOKA´s „HEAD“ – Acrylic on Canvas – 100x80cm, erhält das Höchstgebot – Euro 50.000,- bei der diesjährigen Ronald McDonald Gala. Unter dem Motto „Tempo, Tempo – Feuerwerk der Emotionen“ feierten rund 600 Gäste am 20. Oktober 2017 bei der siebenten Ronald McDonald Kinderhilfe-Gala in der Messe Wien. Im Jahr des 30-Jahr-Jubiläums der Kinderhilfe wurden 860.000 Euro für den Bau weiterer Kinderhilfehäuser gesammelt. „Wir haben zwar schon viel erreicht, es bleibt aber noch eine Menge zu tun, um Familien und ihren Kindern ein Zuhause auf Zeit in Kliniknähe zu ermöglichen“, betont Kinderhilfe-Präsidentin Sonja Klima. Es wurden ebenfalls Kunstwerke von Gerhard Richter, Markus Lüperts, Mr Brainwash, Gottfried Helnwein und vielen anderen Künstlern versteigert. VOKA exhibition opening in Velden Austria. The first exhibition of the artist VOKA under the title "Spontaneous Realism" in Velden / Austria attracted great interest. The large-format works of the artist have been inspiring audiences and buyers all over the world for years. The artist honored his gallery owner Gerald Hartinger in the new gallery, which he opened to the interested guests after the great success of the last year. 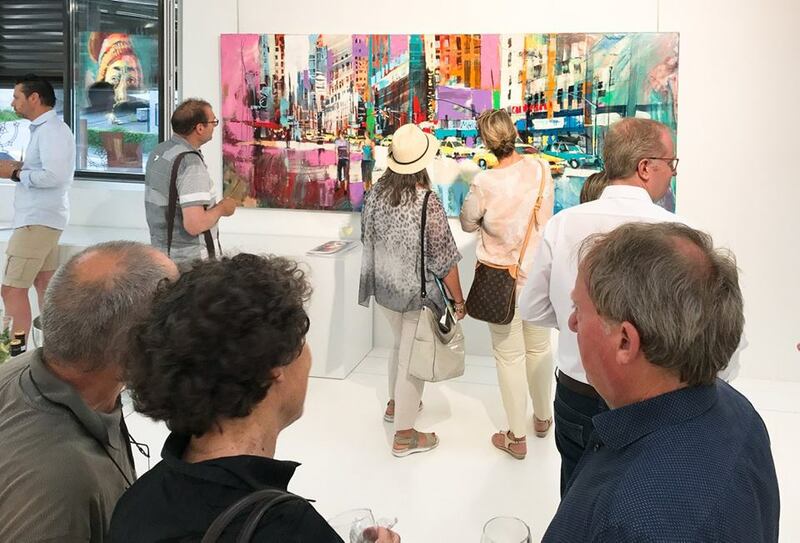 "I am in Velden for the first time and totally enthusiastic about the great, art-loving audience,"
A lot of guests, among them Friederike Wlaschek, Bettina Assinger and Veith Moser, the top doctors Prof. Harry Hertz and Bob Djavan, the fashion TV boss Michael Adam, Helga and Michael Kuhn, Reinhard Jesionek , Who was a VOKA fan, painter Sabine Wiedenhofer, Shirley Retzer and Danielea Heintze, lighting architect Robert Graf, photographer Klaus-Ingomar Kropf, lawyer Elmar Aichbichler, as well as numerous Carinthian celebrities enjoyed the lukewarm summer night. VOKA Vernissage in Velden am Wörthersee. Großes Interesse weckte die erste Ausstellung des Malers VOKA unter dem Titel „Spontanrealismus“ in Velden am Wörthersee. Die großformatigen Werke des in Niederösterreich ansässigen Malers begeistern schon seit Jahren Publikum und Käufer in der ganzen Welt. Der Künstler beehrte seinen Galeristen Gerald Hartinger in dessen Dependance in Kärnten, die er nach dem großen Erfolges des letzten Jahres auch in diesem Sommer für die interessierten Gäste öffnet. „Ich bin zum ersten Mal in Velden und total begeistert von dem tollen, kunstaffinen Publikum“, freute sich VOKA über den zahlreichen Besuch. Schon knapp nach 19 Uhr füllte sich der Gemonaplatz und die Gäste, unter ihnen Friederike Wlaschek, Bettina Assinger und Veith Moser, die Top Ärzte Prof. Harry Hertz und Bob Djavan, der Fashion TV Boss Michael Adam mitbrachte, Helga und Michael Kuhn, Reinhard Jesionek, der sich als VOKA Fan outete, Malerin Sabine Wiedenhofer, Shirley Retzer und Danielea Heintze, Lichtarchitekt Robert Graf, Fotokünstler Klaus-Ingomar Kropf, Jurist Elmar Aichbichler, sowie zahlreiche Kärntner Prominenz genossen die laue Sommernacht. 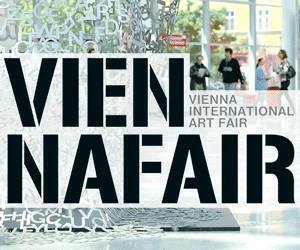 For more than two years Sonja Frei represents VOKA at her Gallery Kunst 7 in Switzerland. Within this short period a considerable collector´s community developed, which could hardly expect the latest work of the artist. In a relaxed and cosy atmosphere visitors had the opportunity to get to know the creator of these powerful paintings in person and learn more about his work and the privat person behind it. Neue Werke in der Galerie Kunst 7 in der Schweiz. Seit mehr als zwei Jahren vertritt Sonja Frei in ihrer Galerie KUNST 7 VOKA in der Schweiz. Innerhalb dieser kurzen Zeit entwickelte sich eine beachtliche Sammlergemeinde, die es kaum erwarten konnte, wieder neue Werke des Spontanrealisten präsentiert zu bekommen. In gemütlich entspannter Atmosphäre hatten die Besucher die Möglichkeit, den Schöpfer dieser farbenstarken Gemälde persönlich kennen zu lernen und mehr über sein Werk und die Person dahinter zu erfahren. Gerald Hartinger Fine Arts presented Vokas works besides Andy Warhol, Keith Haring and Mel Bochner at the Art New York, the preeminent producer of leading international contemporary and modern art fairs, presents the third edition of Art New York and the second edition of CONTEXT New York. 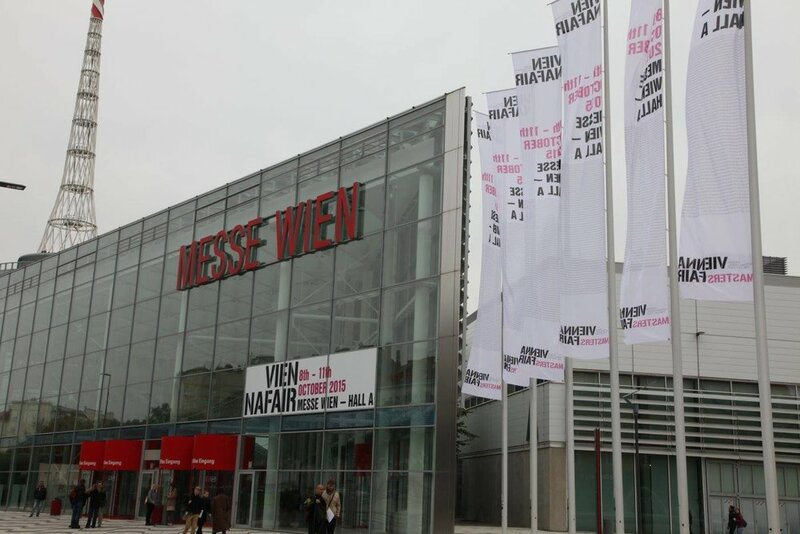 The two highly-anticipated events will showcase artwork from more than 150 galleries representing nearly 1,200 artists from 50 countries. 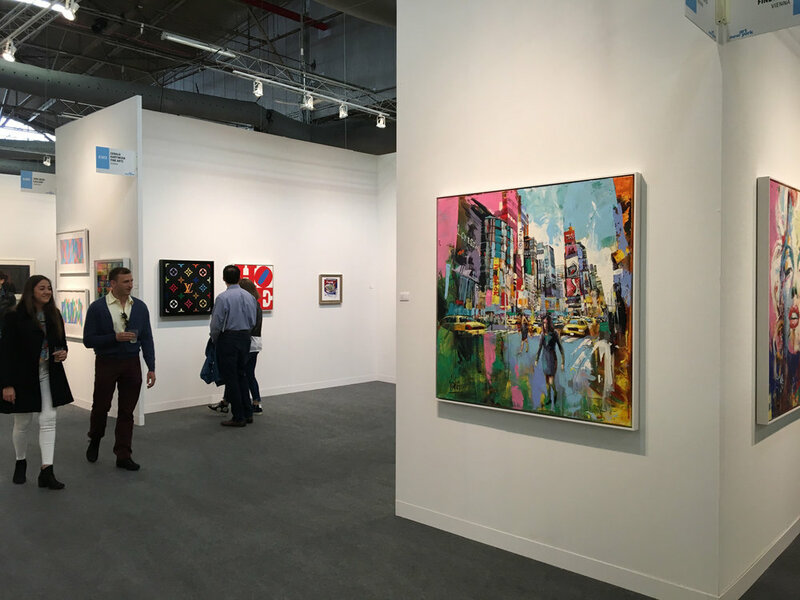 The art fairs took place from May 3-7 at Pier 94, effectively where launching the New York Art Week, the pinnacle of New York’s art and cultural season. Wieder verschlägt es den Spontanrealisten VOKA über den großen Teich. Nach Erfolgen in Miami und Palm Beach werden seine farbgewaltigen Werke nun erstmal in der Kunstmetropole New York präsentiert. Vertreten wird der Spontanrealist durch die Wiener Galerie Gerald Hartinger Fine Arts. Gerald Hartinger hat sich innerhalb weniger Jahre weit über die Grenzen Österreichs hinaus einen Namen gemacht, denn er besitzt eine der relevantesten Pop-Art-Sammlungen Europas. Kuratiert wurde der Auszug der Kollektion von Lena Heidrich und Verena Hager und so finden sich die Arbeiten von VOKA inmitten von Originalen u.a. von Andy Warhol, Keith Haring und Mr. Brainwash in bester Gesellschaft. Bei dieser Veranstaltung präsentieren 150 Galerien aus 50 Ländern Kunstwerke von mehr als 1.200 Künstlern. A unique Pop Art Exhibition featuring original works by Andy Warhol carefully curated with an exclusive selection of original works by Austrian 'spontaneous realist' VOKA complemented by the distinctive style of Oxana. Eine einzigartige Pop-Art-Ausstellung mit Werken von Andy Warhol, sorgfältig kuratiert mit einer exklusiven Auswahl an Originalarbeiten des österreichischen "Spontanrealisten" VOKA, ergänzt durch die unverwechselbaren Arbeiten von Oxana. 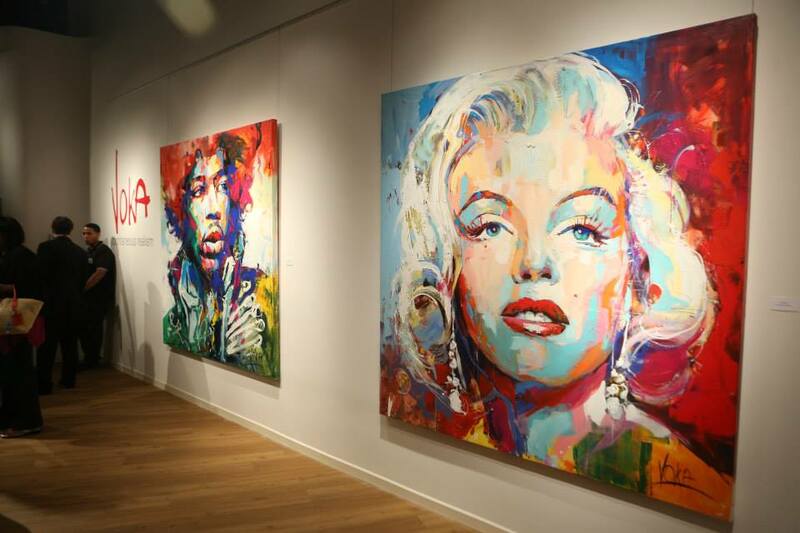 Gerald Hartinger Fine Arts was presenting VOKAs art work at the Viennafair Masters 2015, next to the Pop Art artists Andy Warhol, Keith Haring and Roy Lichtenstein and Graffiti Star Mr. Brainwash Austria's major international art fair. 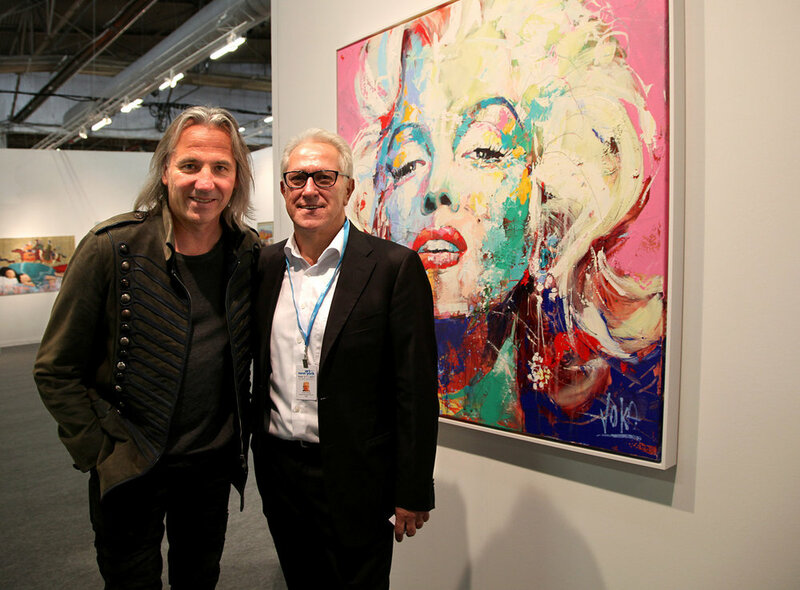 Gerald Hartinger zeigt auf Österreichs größter internationaler Kunstmesse, der Vienna Fair Masters 2015, Werke von VOKA, Andy Warhol, Keith Haring, Roy Lichtenstein und von Graffiti Star Mr. Brainwash. 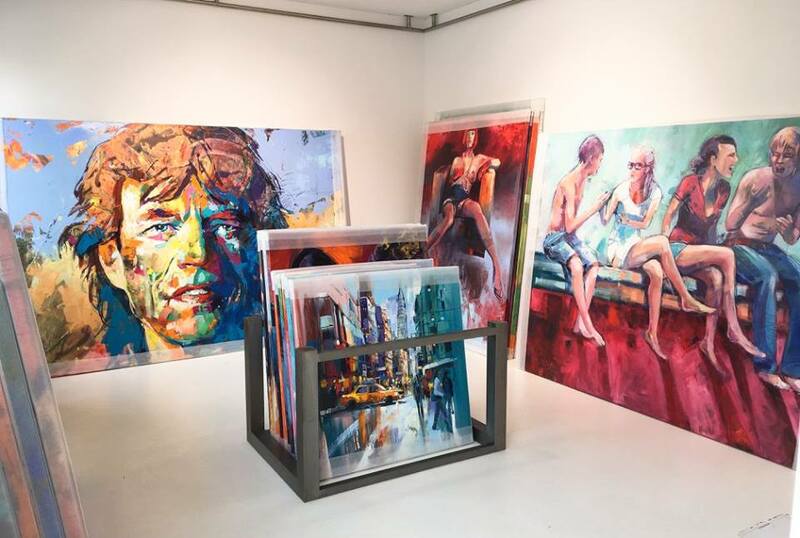 After a successful year of 2014 with great sales results at auctions and presentations of VOKA’s works in Florida, France, Germany, Austria and Switzerland, the colourful and strong works of the spontaneous realists VOKA will be displayed at Art Palm Beach. Sirona Fine Art Gallery, under the direction of Tim Smith, booth 412, is looking forward to your visit. Nach einem erfolgreichen 2014 Jahr mit großartigen Auktionsergebnissen und tollen Galeriekooperationen in Florida, Frankreich, Deutschland, Österreich und der Schweiz werden VOKAs Werke auf der Art Palm Beach gezeigt. Tim Smith, Artdirektor der Sirona Fine Art Gallery, freut sich auf Ihr Kommen. 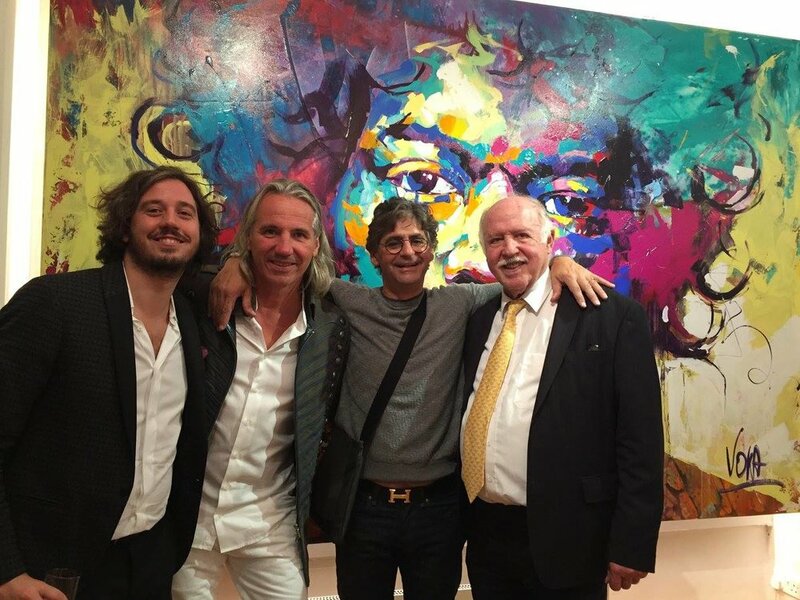 It was a brilliant kickoff for Vokas extravagant art, at his first exhibition in the Art Metropole Paris. When he coined the term ' spontaneous realism ' for his dynamic and strong couloured paintings a few years ago , he could not imagine the international attention he would had. In addition to the successful exhibitions in Hamburg and Miami, now the next stop ist the art capital Paris. The gallery Ariel Sibony , is one of the most prestigious addresses at Place des Vosges, the well-known hot spot of the French art scene.
' His characters are brilliant and expressive in size and intensity. The way how Voka captures the emotions and the expression of a portrait is simply exceptional. If you look into the eyes of his large heads you feel the moment moment and you are emotionally affected ' , says the gallery owner Nathalie Sibony . Already in January 2014, she traveled to Austria to visit Voka in his studio and make a selection of works that are now presented to the visitors. Many international guests attended the opening and found nothing but praise for the art of the Austrian. ' Fascinating, this amalgamation figurative art and abstraction , impressive the power and effect of the works ' articulated a Swiss collector. 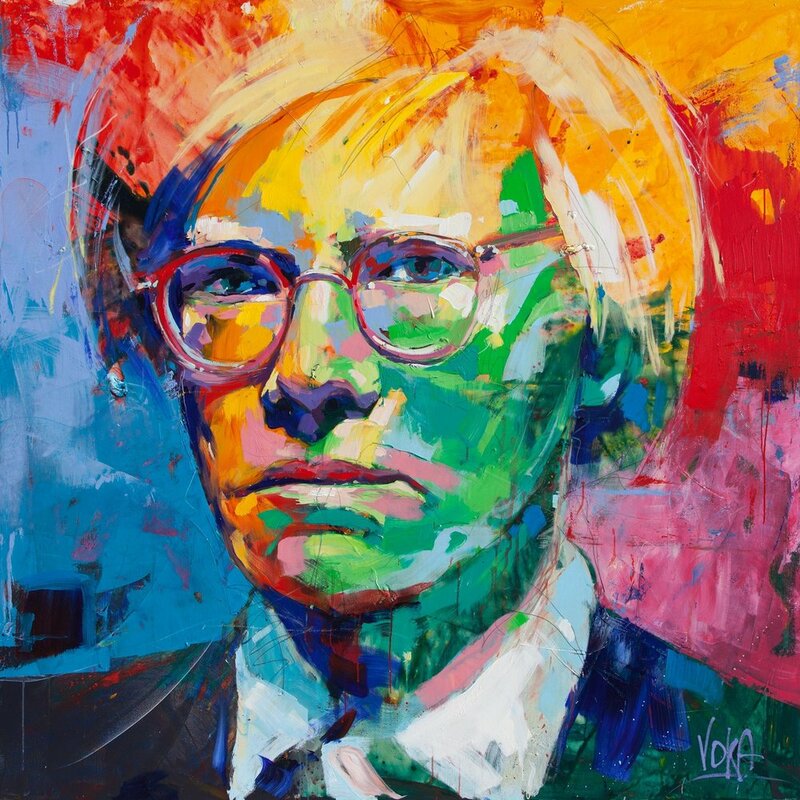 Famous people who collect Vokas arts include friend and mentor Frank Stronach, Novomatic founder Professor Johann Graf, top executive Siegfried Wolf , operetta star Harald Serafin , football legend Franz Beckenbauer and many others. The opening ' vowels spontaneous realism ' is the prelude to the permanent representative of the artist in Paris. It was a special evening at Gulfstream Park / Florida / USA. 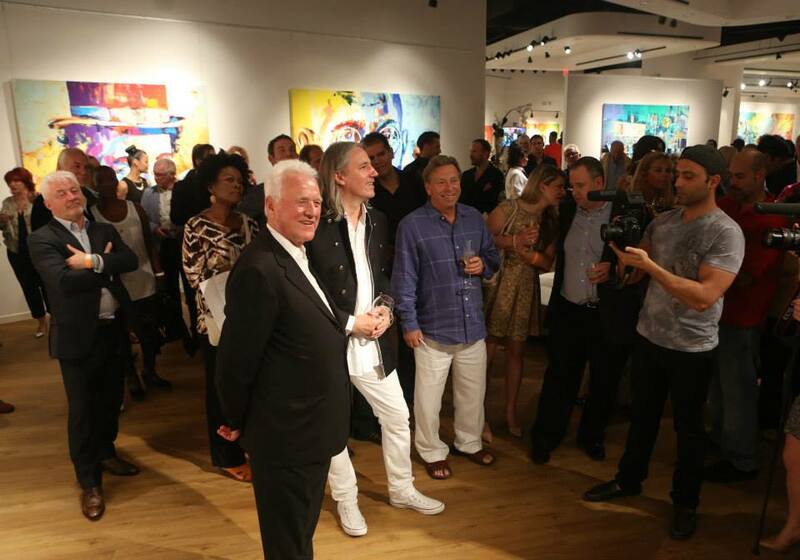 About 350 guests followed the invitation of Frank Stronach and came to the first show of the Austrian artist VOKA in Miami. Frank took the opportunity to give a laudatory speech of his favorite artist himself. 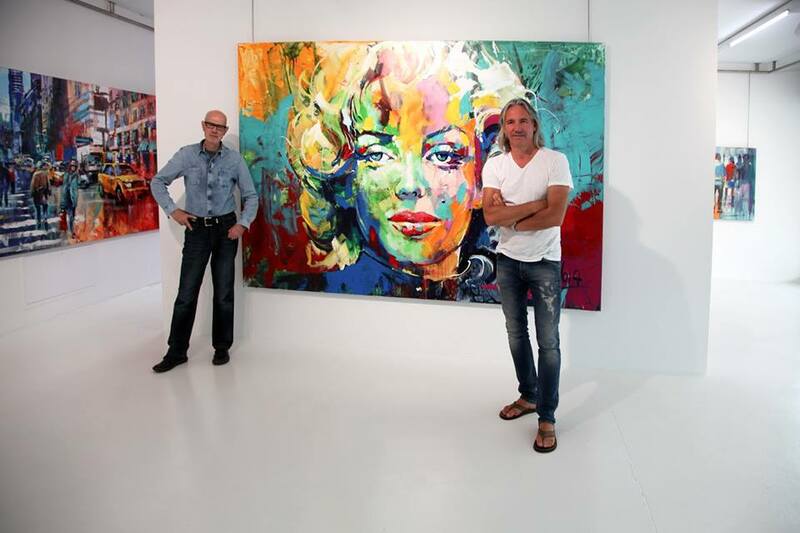 The large acrylic works impressed the visitors, among them the PR Representative of the Art Basel Miami, Bob Goodman and his wife Diane, Alon Ossip (CEO The Stronach Group), Music Legend KC (KC and The Sunshine Band), the Photographer Dewayne Wise, Ivica Djurdjevic (Ceo NOA), Gerald Hartinger (Harts Fine Art - Austria) and Honorary Consul of Austria Werner Stemer.